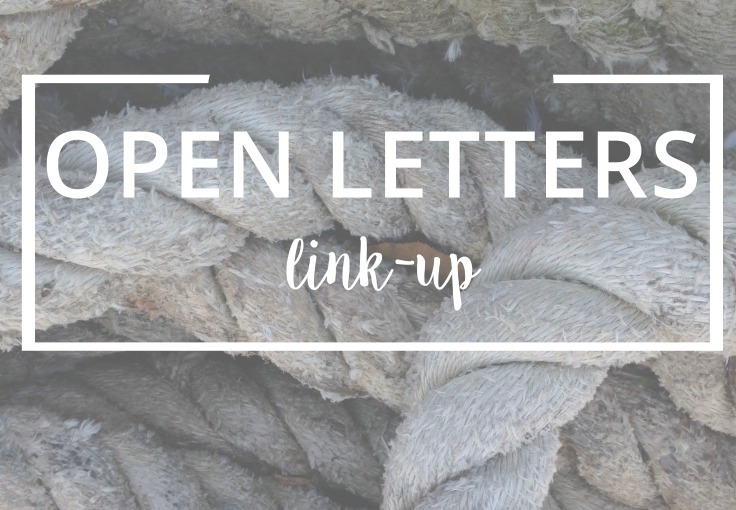 Welcome back for the 4th ever Open Letters Link-up! 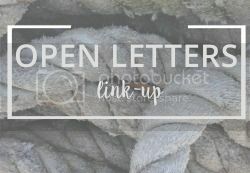 I can't believe it's been 4 months since I shared this post and had so many friends willing to join in on this new link-up idea. I'm so excited that Kayla is co-hosting with me this month! She has 3 adorable little boys (#momgoals) and her amazing blog is focused on family, friends, faith...all the important things in life! Did you not test your products on how effectively they'd keep away mosquitoes? I love that you've made non-greasy bug sprays but the fact that I have to practically bathe in the chemicals just so I can get 10 mosquito bites instead of 50 seems like an oversight. You can do better. I just got my tires replaced and it you'd think I just bought a brand new car with how excited I am. Suddenly I'm like, WHO WANTS TO GO OFF-ROADING, though I'm sure having new tires doesn't mean my exhaust pipe and 1,000 other parts wouldn't come crumbling down the moment my 1998 car began down an unpaved surface. All you old car owners out there, you feel me? Having something new put on my old car makes me feel invincible, like my trusty old champ of a vehicle will last me forever! Let me explain. I've had that car since 11th grade, which is like 8 years. It's got relatively low mileage, and it's so reliable. It's perfect. So what if you have to use both hands to guide the automatic window on its track as you roll it up? Do you REALLY need all 4 doorhandles in a 4-door car? Devin calls it a "death trap" because it's ancient and because one time the seatbelt got wrapped around his waist and he had to cut it off.....but that's irrelevant. My car is beautiful and will last me another 10 years.